Wow! What an incredible lakefront opportunity!! This one level home offers panoramic views on a gentle sloping lot in a Prime Lake Wylie location. Enjoy boating, water sports, swimming, fishing or relax and enjoy the fantastic views of Big Allison from your covered dock. 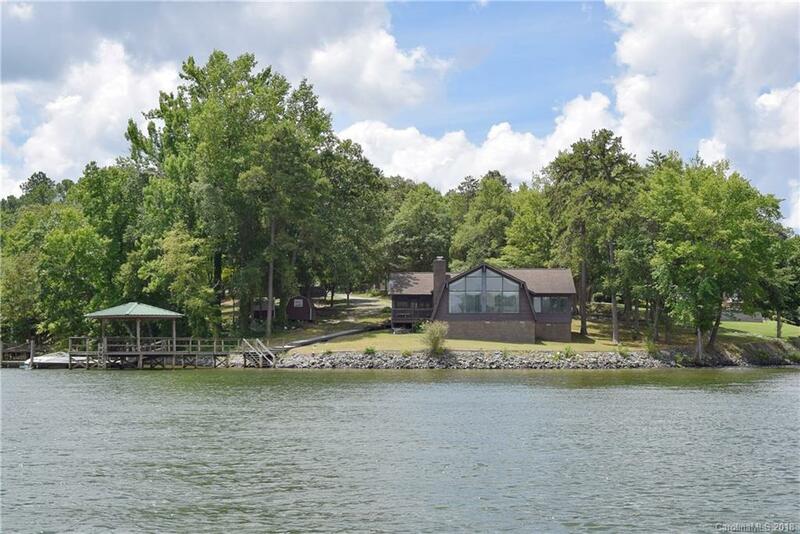 Loaded w/character yet ready for you to add your personal taste, this waterfront retreat boasts vaulted great room with fireplace, 3 bedrooms, 2 baths, and sunroom. Looking for peace, serenity and relaxation then this is the house for you. Low SC taxes, no HOA, and excellent Clover schools.